Collaboration among trustees, administration, faculty, staff, students, and alumni is required for a smooth transition to a fossil fuel–free campus. Lewis & Clark College, a private liberal arts institution with a public conscience, sits atop Palatine Hill overlooking the city of Portland, Ore., and the Willamette River that bisects it. Home to an undergraduate college of arts and sciences, a law school, and a graduate school of education and counseling, Lewis & Clark is—like its hometown—a place deeply committed to all aspects of sustainability; these include learning, innovation, and principled action. Aligning our investments with our intentions is integral to those commitments. That dedication has driven the college’s leaders to look out to the horizon and ask how we are going to be part of the response to—among other challenges—the globe’s worsening climate change crisis. Divesting from all fossil fuel investments has emerged as one answer among many for us, and even that imperative is easier said than done. After developing a process and working toward a set of recommendations, Lewis & Clark’s board of trustees voted in February 2018 to adopt fossil fuel divestment. The college will apply that set of goals to all current and future investing decisions. This article outlines key actions taken to make divestment happen. Since 2007, when Lewis & Clark signed on to the American College & University Presidents’ Climate Commitment, the college has made broad and concerted strides in its sustainability efforts. From policy initiatives to curricular integration, we know that sustainability is as key to our brand as to the college’s bottom line. 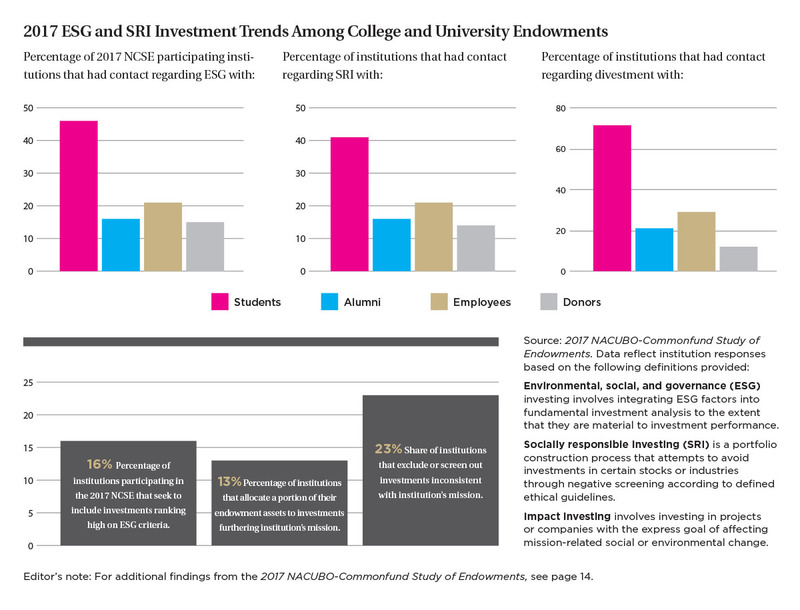 College leaders began to look at sustainability’s components not only in terms of our operations, but in terms of the growing expectations of prospective and current students—who are the college’s future alumni, donors, and trustees. When sustainability professionals around the globe started to turn up the volume on the need for institutions to make more meaningful contributions to combating climate change, Lewis & Clark faculty, staff, and administrators took notice. Early hesitation. Despite the fact that our culture was already very supportive of sustainability goals, there were strong initial concerns from investment committee members about the financial performance of environmental, social, and corporate governance (ESG) and divestment strategies. Reconciling Lewis & Clark’s historic academic and operational focus on sustainability with our endowment investment policy appeared quite problematic due to widespread concerns that any limitations on eligible investments would diminish long-term investment performance. Socially responsible investment (SRI) funds existed, but they generally had lower rates of return, which caused members of Lewis & Clark’s investment committee—like many of their colleagues at other philanthropic organizations—to be wary of SRI-focused investments. Researching ESG investment potential. However, attitudes began to shift when ESG investing began to gain acceptance as an alternative to SRI concepts, which were based on restricting investments based on ethical beliefs. In 2006, the United Nations launched a worldwide effort advocating Principles for Responsible Investment (UNPRI). Rather than precluding companies with poor ESG records, the UNPRI asked investors to consider ESG factors to the extent they are material to investment performance. This request generated numerous academic studies to ascertain whether ESG practices improved investment performance. The concept grew rapidly as more and more reports showed a positive correlation between ESG and investment performance. In 2012, the investment committee of Lewis & Clark’s board of trustees first discussed the then-emerging concept of stranded carbon assets. The concept, which has since 2012 become much more studied and widely accepted, ultimately played a fundamental role in the board’s willingness to pursue divestment recommendations. Simply put, a stranded asset will likely lose significant economic value well ahead of its anticipated useful life as a result of changes in legislation, regulation, market forces, disruptive innovation, or environmental shocks. Many academic and financial articles suggest current equity market valuations for companies owning carbon assets are significantly overpriced because those valuations are substantially based on carbon reserves held by the companies. The problem with this valuation methodology is that climate scientists calculate that to avoid the catastrophic impacts of a warming Earth by more than two degrees Celsius, the world can only burn less than one-third of its existing carbon reserves. Leading bankers are speaking about a “carbon bubble,” which, according to a 2015 Citigroup estimate (reported in its study Energy Darwinism II: Why a Low Carbon Future Doesn’t Have to Cost the Earth) could be as large as $100 trillion dollars. Consequently, holding carbon assets represents a significant risk for long-term investors like endowments and foundations. In 2013, Commonfund Institute published a valuable white paper: From SRI to ESG: The Changing World of Responsible Investing. After reviewing that document, Lewis & Clark adopted its first ESG policy in 2014. This policy remained in place for three years, as the scope of ESG research and products expanded dramatically. During this time period, existing managers were contacted about their ESG practices. As a result of those conversations, two managers were terminated due to large investments in mining operations, and another manager agreed to quit investing in private prisons. In 2015, talk of fossil fuel divestment was coming from administrators as well as from Lewis & Clark’s faculty and students. That December, I joined the Intentional Endowments Network (IEN) working group responsible for drafting The Business Case for ESG. That briefing paper, along with MSCI’s (Morgan Stanley Capital International) Fossil Fuel Divestment: A Practical Introduction, proved consequential for subsequent conversations with our trustees, faculty, staff, students, and alumni. In fact, the assistance provided by entities like IEN have played an outsized role in helping Lewis & Clark’s trustees understand and ultimately embrace ESG strategies. In fall 2016, a Lewis & Clark student club called SEED (Students Engaged in Eco Defense) contacted the administration about a petition it wanted to circulate on campus calling for divestment of fossil fuel securities from the college’s endowment. Originally, the students wanted to resurrect prior attempts to advocate for divestment. However, over the course of several months, by meeting with the group several times to answer questions about the endowment, I was able to suggest minor changes to the petition that would help our board’s investment committee respond favorably. 1. 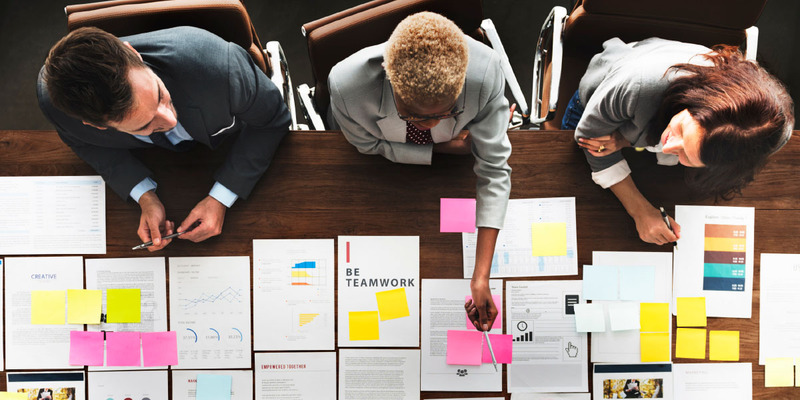 Expand the ESG section of the investment policy statement, calling for active annual engagement with managers on ESG issues. 2. Freeze future fossil fuel investments and ask a subcommittee to further study SEED’s requests. Monitoring ESG factors relative to the individual manager, asset class, and total portfolio. Proactively encouraging managers to follow ESG practices. Engaging a third-party consultant to monitor exposures. Including ESG managers in every search. Delegating authority for voting proxies containing ESG issues. That second resolution set the stage for the heavy lifting to begin with our divestment process. In May 2017, the board of trustees directed the investment committee to form a divestment subcommittee tasked with developing specific recommendations for the board to take up in early 2018. The divestment subcommittee began meeting during the summer of 2017. Led by the investment committee chair, the subcommittee included three other current trustee members of the investment committee, an emeritus trustee, one law professor, one undergraduate student, and the college’s Director of Sustainability, Amy Dvorak. According to Dvorak, Lewis & Clark’s divestment campaign fit clearly into its broader efforts to reduce reliance on fossil fuels and promote efforts toward climate neutrality. “Taken alone, fossil fuel divestment is not enough. However, it is a key component of a comprehensive strategy that includes direct and indirect impacts with fossil fuels.” The subcommittee meetings were also attended by the college’s general counsel and our new president, Wim Wiewel. Which fuels and activities should we include in a divestment policy? Do we base decisions on carbon reserves or carbon emissions? What benchmarks do we want to establish as performance measures? The subcommittee also reviewed data such as enhanced ESG survey results; student petition wording; comparative data from divested colleges; and potential impact on performance, including different perspectives, fund manager limitations, active versus passive, divestment versus engagement, and future flexibility. 1. Lewis & Clark could simultaneously meet the critical objectives of best-in-class endowment management as well as environmental leadership. 2. It would be negligent not to consider the risk of climate change, and that by doing so the college’s fiscal stewards would be upholding their fiduciary duties. 3. It was important to divest from fossil fuel investments in all asset classes. Lewis & Clark’s endowment shall not directly own any securities publicly issued by companies in the fossil fuel industry, specifically the largest owners of coal, oil, and natural gas reserves (“fossil fuel companies”). Starting immediately, Lewis & Clark will make no investments in any new fund that has exposure to fossil fuel companies. Over the next five years (before Dec. 31, 2022) Lewis & Clark will eliminate exposure to fossil fuel companies held indirectly through public commingled strategies. In addition, the college will exit all private limited partnership investments holding fossil fuel companies as they mature. Consistent with the college’s existing ESG policy, Lewis & Clark will actively engage with existing investment managers to encourage them to adopt fossil fuel–free investment options. Lewis & Clark will provide an annual update to the broader campus community on holdings of fossil fuel securities in the endowment portfolio. In deciding to divest from the endowment’s fossil fuel exposure, Lewis & Clark is not changing the investment committee’s strategic investment objectives. Rather, the college will move as quickly and diligently as possible to have the endowment reflect our adopted policy, but will be patient so as not to have a negative impact on operations. With a targeted horizon of five years for full implementation, the investment committee will provide annual progress reports to the Lewis & Clark community. The divestment subcommittee also stressed that best practices related to fossil fuel divestment exposure are rapidly evolving, and the prudent approach is to preserve flexibility to navigate this shifting landscape. For example, it’s possible to envision Lewis & Clark’s divestment policy eventually addressing carbon emissions as well as carbon reserves ownership, or to encourage proactive investments consistent with the endowment’s ESG policy, rather than divestment only. By recognizing that fossil fuel divestment is not only consistent with the college’s institutional culture, but also an important risk management tool, Lewis & Clark has set a course for continuing its strong tradition as a pioneer in sustainability. CARL VANCE is chief investment officer at Lewis & Clark College, Portland, Ore. He also serves on the executive committee of the Intentional Endowments Network. He previously served as the college’s vice president for business and finance.